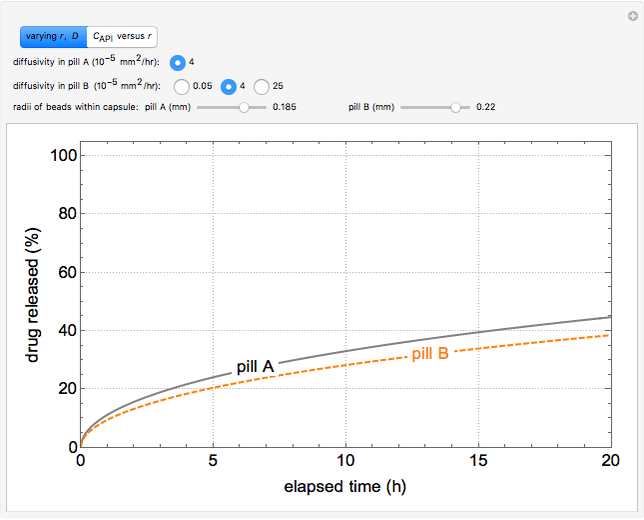 This Demonstration models a diffusion-controlled drug delivery system to determine the amount of an active pharmaceutical ingredient (API) released from a polymer sphere as a function of time. The elapsed time is limited to 20 hours to correspond to the digestive cycle of humans. Drugs are often delivered as a capsule that contains many spherical beads, and the API is uniformly distributed throughout each polymer bead. The API is assumed to be immediately swept away once it diffuses to the surface of the bead. 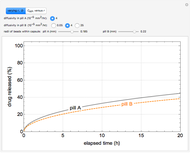 Select "varying , " to compare two pills. 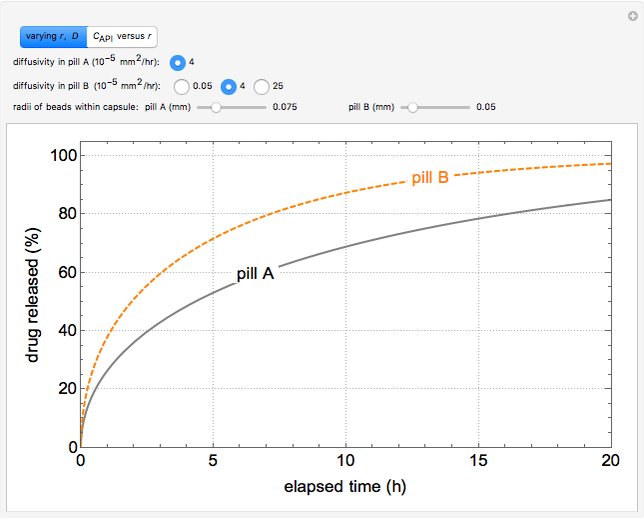 The diffusivity of pill is fixed, and you can use a button to select the diffusivity of pill . The size of each pill can be selected with sliders. 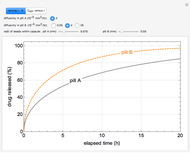 Select " versus " to plot the normalized concentration of the API as a function of radial position for one diffusivity and one spherical radius. 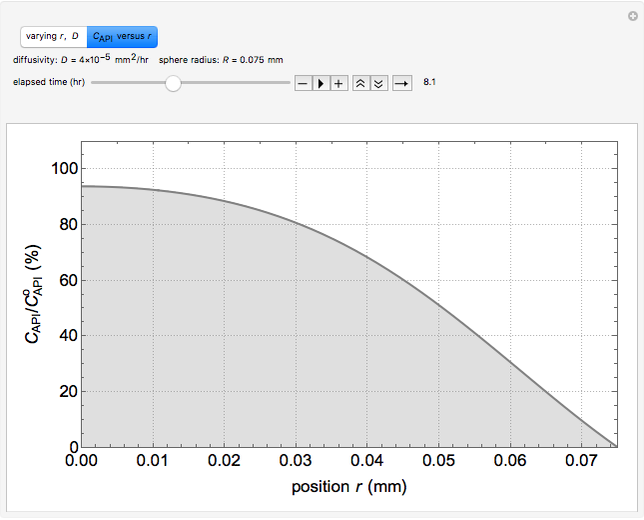 Use the slider to change the time at which the concentration profile is calculated or use the play button to observe the concentration change continuously with time. 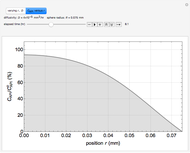 Rachel Saker and Rachael L. Baumann "Diffusion-Controlled Drug Delivery"